THE Foreign and Commonwealth Office of the United Kingdom (UK) issued a travel warning Sunday, January 27, against all travel to western and central Mindanao and the Sulu archipelago, as well as all but essential travel to the south of Cebu. According to its website, the advisory was released due to reports of terrorism. “The FCO advise against all but essential travel to the remainder of Mindanao (excluding Camiguin, Dinagat and Siargao Islands) and to the south of Cebu Province, up to and including the municipalities of Dalaguete and Badian, due to the threat of terrorism,” the advisory said. The advisory mentioned the bomb attack of the Cathedral of Our Lady of Mount Carmel in Jolo, Sulu, last Sunday that resulted in at least 20 deaths. It also mentioned the possible increase of election-related violence leading up to the May 2019 elections. Tourism stakeholders in Cebu, though, remained unfazed by the travel warning from the UK government, saying it was an isolated case. They said this would not dampen the arrivals to the province, which had been logging healthy arrivals since the start of the year. But the Hotel, Resort and Restaurant Association of Cebu (HRRAC) did not discount the possibility of some cancellations. “This travel advisory is an isolated case. It will not lessen the tourist arrival this month, but we may receive slight cancellation. But it would be minor. Tourist arrival in Cebu is still high,” said HRRAC president Carlo Suarez. 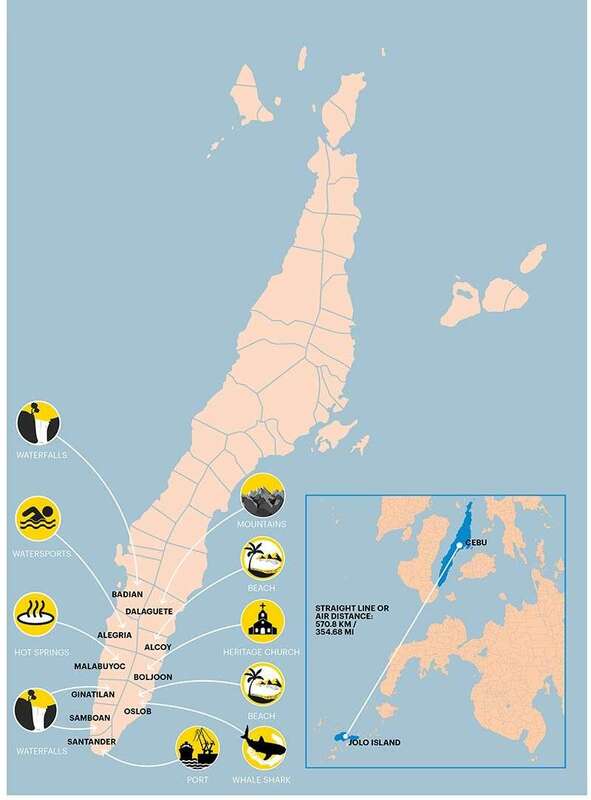 Meanwhile, tourism advocate Jonathan Jay Aldeguer said he was puzzled why the southern part of Cebu was included in the advisory when it was far from where the bombing incident happened. But he was confident tourists would not be discouraged to visit Cebu. “I’m puzzled how southern Cebu is included in the advisory. While any form of advisory can be detrimental to tourism, I don’t think our bigger international markets that include the Chinese, Koreans and Japanese will be affected by this,” said Aldeguer. Moreover, Suarez wanted stakeholders and government to tighten security measures, especially during this election year. The UK travel advisory cautioned its people about the May elections where additional security measures, such as extra security checks and roadblocks, would be put in place in many areas. “It’s not uncommon to see increases in election-related violence in the runup to elections. You should keep up to date with local activity and avoid demonstrations or large gatherings of people,” said the travel advisory. At the start of this year, the UK issued a warning against travel to Mindanao after an improvised explosive device exploded at the entrance of the South Seas shopping mall in Cotabato City on December 31. The warning, likewise, covered the south of Cebu, up to and including the towns of Dalaguete and Badian. In a separate interview, Gov. Hilario Davide III urged the British government and other nations to conduct initial verification before including Cebu in their travel advisories. Davide told reporters that despite the spate of killings that had occurred in Cebu, tourists in the province were safe. The governor was also baffled that Cebu was included in the travel advisory when the Sunday bombings took place in Jolo, far from the Visayas regions. “Whenever something bad happens in Mindanao, Cebu is always included (in their advisories). They should at least verify. 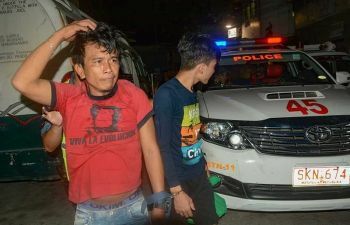 We have been repeating this over and over, Cebu remains safe despite the killings involving local officials,” Davide said in Cebuano. However, Davide urged the public not to be complacent. He was confident that local police and Armed Forces of the Philippines (AFP) personnel stationed in Cebu would implement measures to ensure that terrorist acts wouldn’t reach the Visayas. For Provincial Tourism Officer Joselito “Boboi” Costas, the high number of foreign nationals who visited southern Cebu may have been a factor in the inclusion of the province in travel advisories. 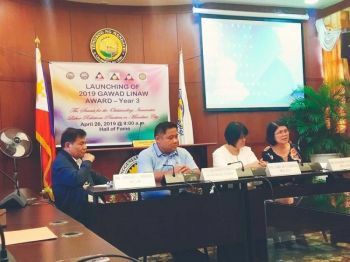 He said tourist arrivals in Cebu had not been affected, despite the earlier travel advisory issued by the UK government following the Cotabato mall bombing last December 31. Costas pointed out that a lot of foreign tourists attended the recently concluded Suroy-Suroy in Southern Cebu last Friday, January 25.